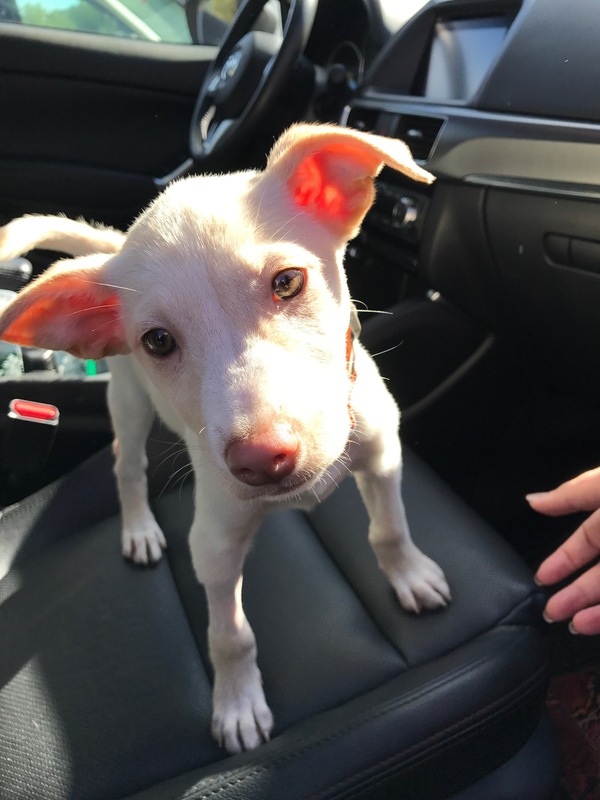 Today, my husband and I adopted a rescue puppy from Georgia via Logan’s Heros in Coopersburg, PA! As a newly married couple, you naturally start to consider what growing your family will look like, and we wanted a puppy to be in our near future. Over the last few months we’ve been looking at local rescue sites and hoped to find some puppies who needed a loving home. 3 weeks ago, Luna and her 7 brothers and sisters popped up on our radar and we immediately applied to adopt her or one of her siblings. After a week long waiting period, we found out our 3 references were called and asked questions about if we could be great pet parents. Originally, we wanted one of Luna’s brothers and hoped that he would love us in the way we fell in love with him after only seeing pictures. After all paperwork was signed to get her brother, I couldn’t help but be drawn to Luna and how sweet and loving she was each time I went over to the pen she was in. This is important. From the moment we decided we wanted to look at these puppies, it was extremely important to me that we felt some sort of connection off the bat before leaving with one of them. Unfortunately, the dog we came to see we did not have that spark with. Luna (originally named Aurora ((like me)) how weird is that?) would not stop licking my hands, and then once we held her, she immediately wagged her tail and wanted to cuddle. Excuse me while I melt for a second. So here we are… we both felt the same way when meeting her and knew we couldn’t leave without her! Luna Brunovsky (obviously having our last name) joined our family today and I couldn’t be more excited! While we’re super over the moon, we are also nervous to be first time fur-parents together, but know it will be a lot of fun and worth it! 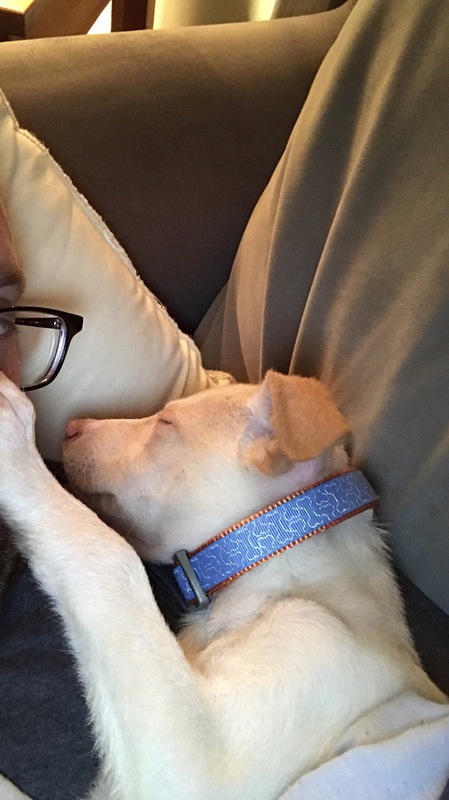 Adopting is WORTH IT! We paid a few hundred dollars (which was primarily a donation) to keep our rescue org going, and our dog arrived with all shots and was spayed. How can it get much better than that?? If you or someone you know has questions about pet adoption, please comment below!! Time for us to hit the hay! Luna is already out!